Eggceptional care required | Topflite Ltd. Laying eggs is no small job, particularly at this time of year. And right now hens’ bodies are telling them to increase egg production after the winter slow-down. To get this taxing job done each day they need to be in tip-top health. 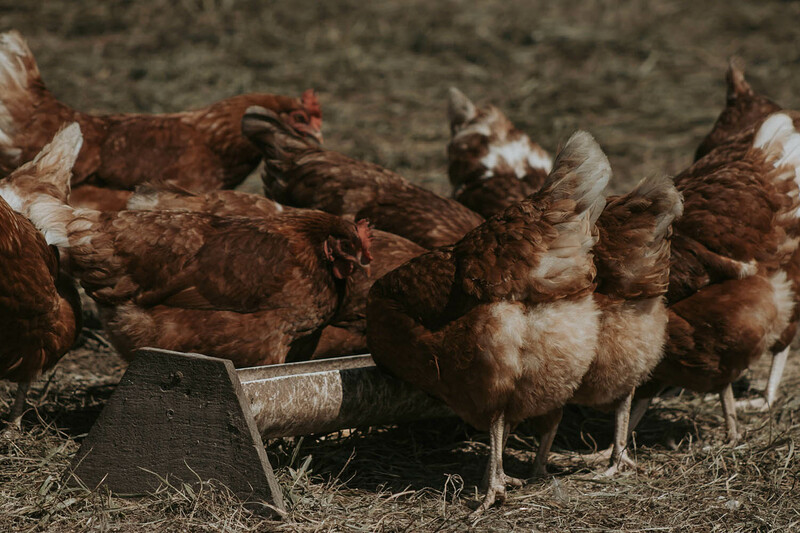 Spring is the perfect time to check that hens are getting a good nutritional balance and a variety of food types in their diets. Commercial poultry pellets tend to be the go-to feed for New Zealand chicken keepers. In conjunction with other supplementary sources, they can do the trick for everyday feed requirements. However chickens are natural foragers: providing a blend of textures and varieties will keep things more interesting. Scattering out their feed keeps chooks entertained throughout the day as they search for tasty morsels in the garden. While scattering feed is a lot more fun for chooks and their humans, access to a feeder should also be provided. Remember that chickens feed hierarchically. So those lower down the pecking order may miss out on scattered food. Food intake is self-regulated too, so there’s no danger of overfeeding. In addition to food scraps and the all-important leafy green vegetables, we recommend a daily serving of around 150g of Scratch ‘n Lay. While the blend contains some oyster shell grit it’s worth leaving out a small supply too. When feeding laying hens remember that you get out what you put in. The more nutritious their feed, the better the quality of eggs on the breakfast table. For more ‘feedback’ on Scratch ‘n Lay, just ask the Topflite chooks.